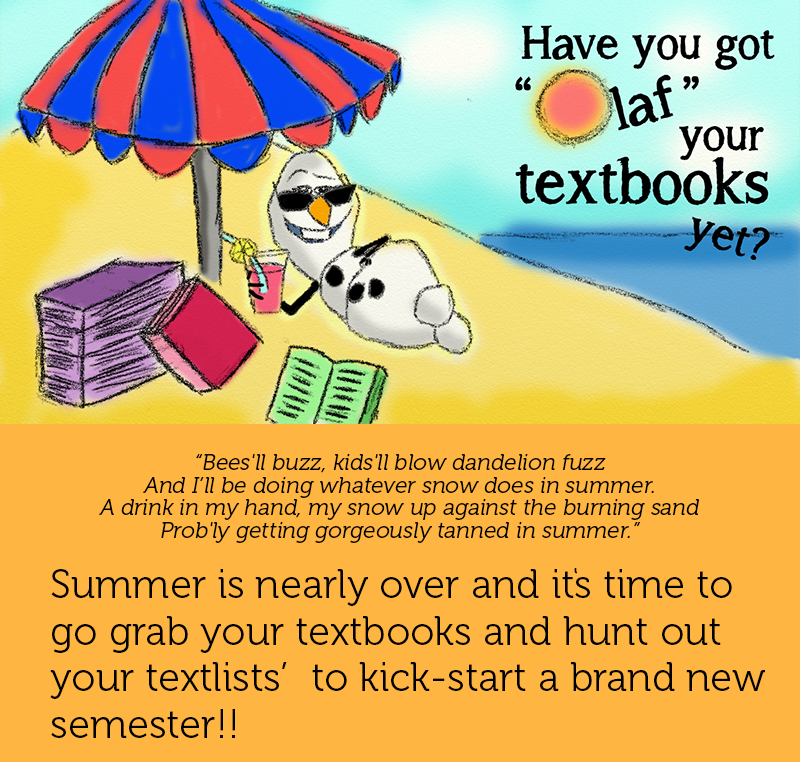 Illustration: Have you got “Olaf” your textbooks yet? First year students can check out the school information for textbook lists for advice on getting textbooks and materials for first year courses. For some general tips on textlists and textbooks, e.g. what to do if you are on a tight budget, have a look at this guide to textlists, textbooks and course notes.